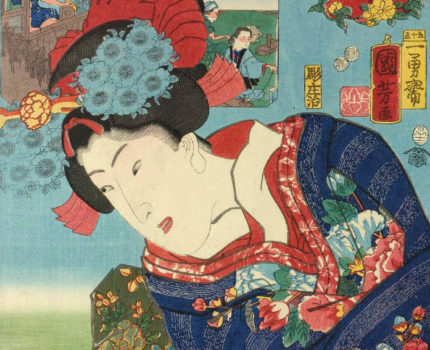 This symposium examines the transmedial relationship between Japanese prints, illustrated books and textiles through their shared interests in colours, including the production of colorants, colour printing technology and design patterns in Japan from the 18th to 19th centuries. One critical concern for print designers, printers and dyers was how to produce subtle, beautiful, and enduring colours for their works. The material, labour and expertise invested in the making of colours not only contributed to a distinctive aesthetic quality of the prints and textiles but also the economic value of the products and the social status of the owners. Colour became one of the key elements to display one’s power, wealth and aspiration in changing fashion trends. This symposium will explore what colour and fashion meant for consumers in Japan. This event is organised in collaboration with the Worcester Art Museum with additional funding support from the Japan Foundation. The symposium will be held at the Sainsbury Institute, 64 The Close, Norwich NR1 4DH. This event is organised in collaboration with the Worcester Art Museum with funding support from the Japan Foundation.